Apple has not been content with presenting today its new iPhone , but wanted to "talk about music." 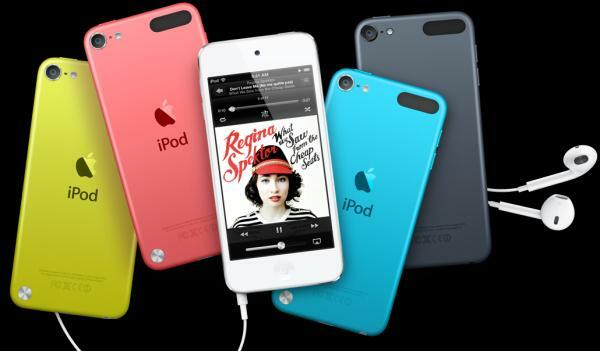 Has introduced a new generation of music players, with a new iPod Touch as flagship. This model is increasingly a music player. In this update we have mainly focused on their use as "iPhone without a phone", ie, games and applications. But it was not the only one who has undergone a complete renovation. 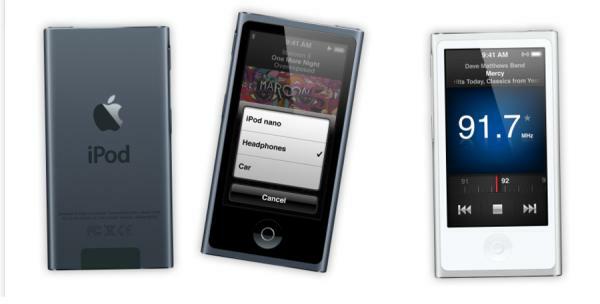 The iPod Nano has been stretched up to a 2.5 inch screen and a function button identical to the iPhone. With this update, becomes a miniature version (and low cost) Pod Touch. All new devices are going to enjoy the new store design content from Apple iTunes, which is completely renewed. We discuss in depth each of the new iPod models. The iconic audio player ever is less like a music player. With this new generation, the iPod Touch becomes a multimedia device oriented video games ... And that plays music. Their capacity has grown to 64 GB and has won five colors. It is also thinner and lighter than its predecessor. It is at just 6.1 millimeters thick and 88 grams in weight. The earlier version already surprised by its lightness and weight, we can suppose that new iPod is so thin and light that have it in his hands can give up fear. He has won in screen size, reaching four inches. Share the same size as the iPhone 5, and a very similar design. However, it seems that Apple wanted to give this device personality. 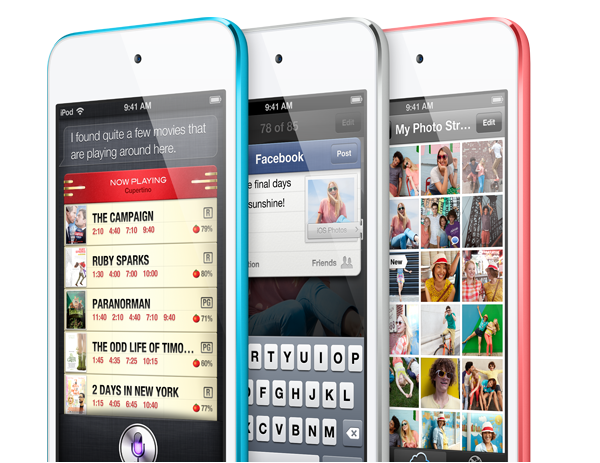 For this, the new iPod Touch will be available in five different colors. He has also won in capacity, and will feature 32 or 64 GB of internal memory, compared with 16 or 32 GB of the previous model. Just to focus on the graphics capabilities, Apple has given him until today which was more powerful processor, the A5. To get an idea of the power that integrates the new iPod Touch will share processor with the iPad 2 or the iPhone 4S. But if there is an interesting development in this device is the camera. 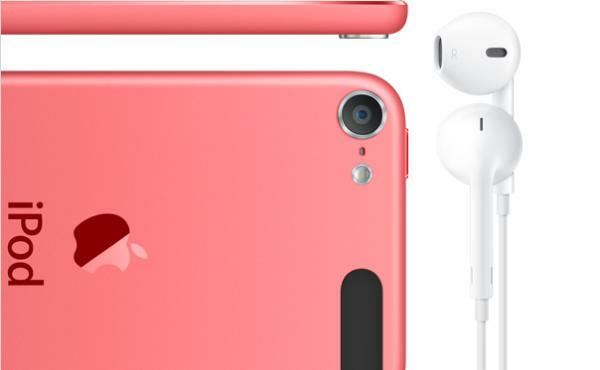 Apple has decided to include a camera in the back of the new iPod Toch, very similar to the one with the iPhone 4S. Features a 5 megapixel backlit sensor, autofocus and an LED flash. The new camera has a sapphire lens as it integrates the iPhone 5. With this, it is assumed that image becomes clearer and in resistance. You can also record video in HD quality (720 pixels). Of course, it will be compatible with iPhoto and other photo services brand. The new Touch comes with a snap that Apple wanted to give much importance, so as to give a proper name: Loop. It is a belt with which to hold the device to the wrist, and it comes in the same color as the device. It also has the new connector has introduced the brand today and shared with the iPhone 5: the Lightning. This connector is much smaller than the 30-pin dock connector, which until now was present in the devices of the brand. Apple has not clarified whether the new devices include an adapter in order to use all the accessories that exist or should be purchased separately, but everything points to the second option. In addition, improvements in WiFi, AirPlay and a price as high as we might expect: 320 euros for the basic version of 32 GB. A crazy price for something that is supposed to be a music player. The previous model will never be cheap and it will continue to sell for 210 euros. They can book from the Internet after tomorrow. The smallest player in the family (along with the iPod Shuffle) has undergone a complete renovation. Has adopted the traditional Apple devices, with an elongated screen on top and a function button on the bottom. In practice, it seems little more than a miniature iPod Touch. Despite winning in size, it has become much more refined. Now has just 5.4 millimeters thick, which is 38% less than the previous model. In terms of weight, Apple has chosen not to provide data on the presentation, is that with increasing size, the device had to be necessarily heavier than the previous model. The buttons to change songs or adjust the volume go to the side of the device. It has also won in battery and connections. 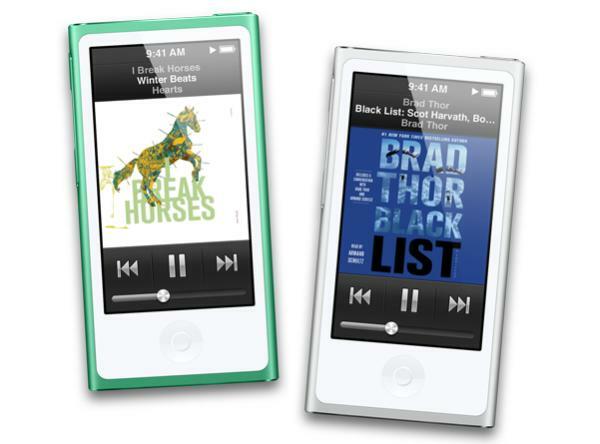 According to Apple, consumers were asked to include Bluetooth, so the new iPod Nano will feature this technology. The brand of apple wanted to influence the sports use this player. For this, he has built a pedometer to calculate the distance that we run. This feature comes in the framework of the agreement that Apple has with Nike +, the social network known sports brand. Thus, we can update our progress on this network with the tools available to the iPod Nano. Of course, it also integrates the new connector of the brand, the Lightning. The new iPod Nano may buy po r 170 euros in Spain, considerably more expensive than the $ 150 that comprise the other side of the Atlantic. It can also be booked from tomorrow in the Apple website. All other iPod models catalog has undergone no change. The iPod Shuffle has not changed, and the iPod classic maintaining the same price. Seems to have little room for improvement in these two devices, since one is determined to maintain the aesthetics of the first iPod and the other does not even display. While the iPod, Apple has decided to improve other aspects that have to do with music. With the new version of its operating system, IOS 6, the brand Apple has completely renovated its store music, movies and books: iTunes. The new interface is much cleaner and has full integration with clouding service brand, iCloud. In addition, Apple has also introduced some new headphones. 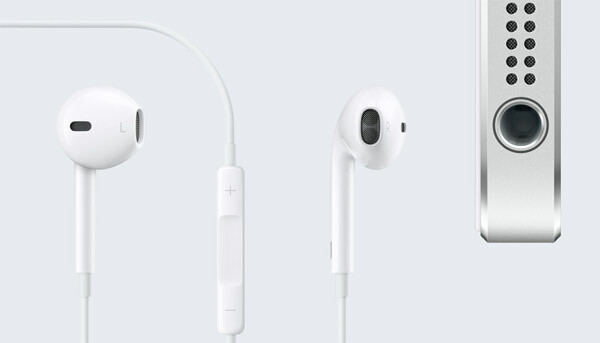 EarPods called, and promise better audio quality and noise cancellation technology.